Here is another family favourite in our house. 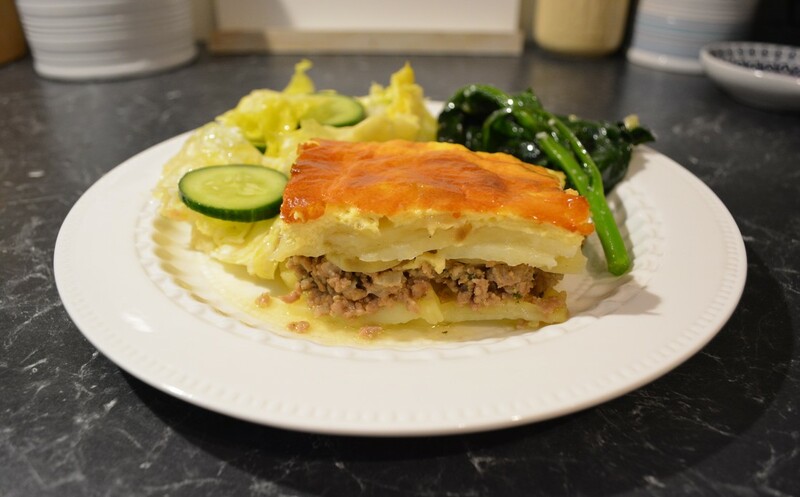 This recipe is so simple, yet very flavoursome. The key to this recipes success is seasoning, as you are using so little ingredients, if you don't season it properly it will be bland and boring. My kids love this, and take any leftovers to school for lunch the following day. For this reason I like to double the recipe. 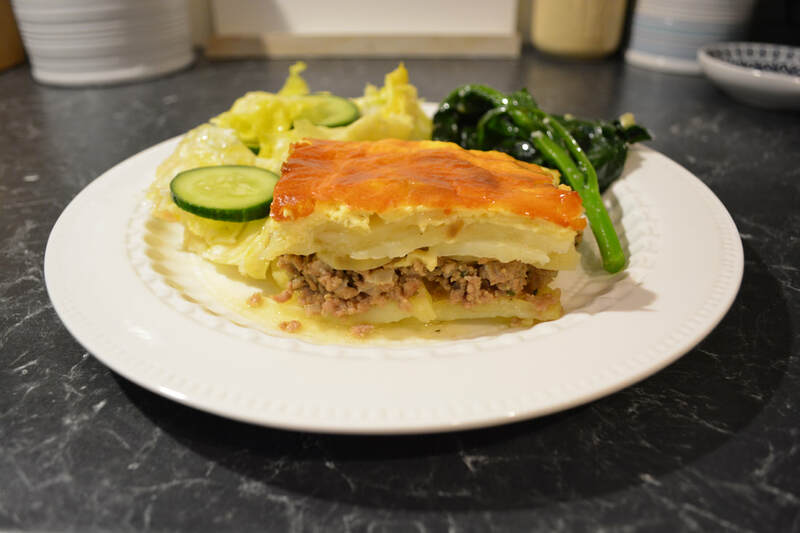 Let me just say this bares no resemblance to a Greek Moussaka. 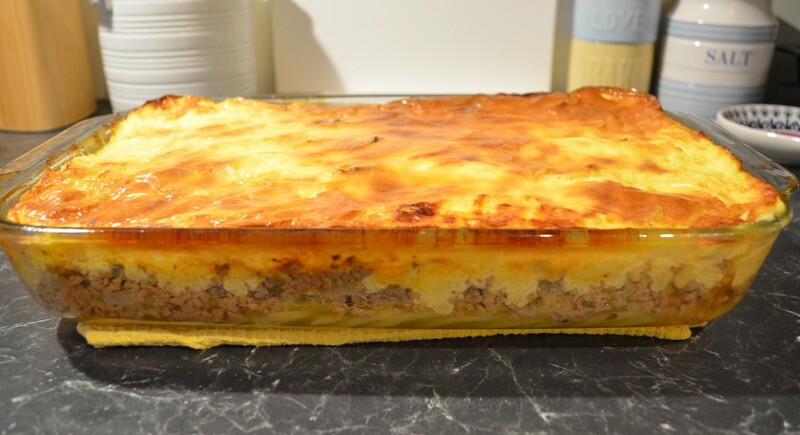 This is more potato bake with mince in it. 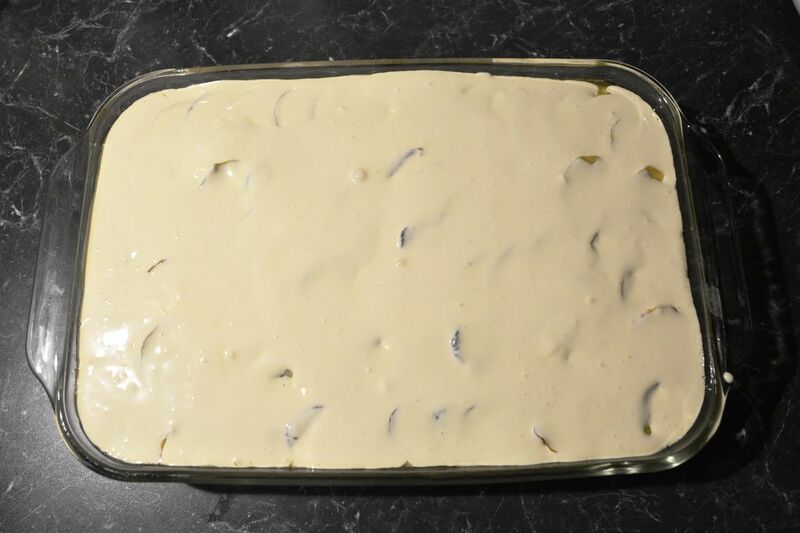 This can be baked in whatever baking dish you have, but approximate size is 24 x 24 x 5cm. It can be round, rectangular, square, a cake tin. Anything really. This is very simple, we love it, why don't you give it a try. Heat half of the oil in a saucepan. Add the onions and fry over medium heat until translucent. Add the mince, salt, pepper and vegeta. 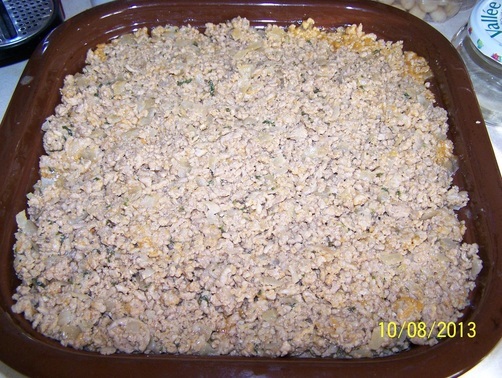 Separate the mince with your spoon to remove chunks. Add the parsley and one egg (mix the egg in quickly so the egg does not scramble). Reduce the heat to low and cook this for 10-15 minutes. Taste the mixture as it needs to taste slightly over seasoned, when you add the potatoes this will become a mild taste, if not seasoned properly, the end result will be bland. Allow to cool for 30 minutes. Add enough cream to moisten the mixture. Preheat the oven to 180C/160C fan forced. ​ Put 2 tablespoons of oil in the base of your baking dish. Peel and slice your potatoes thinly, season with salt, pepper and a sprinkle of vegeta. Add a small drizzle of oil, give the potatoes a mix. 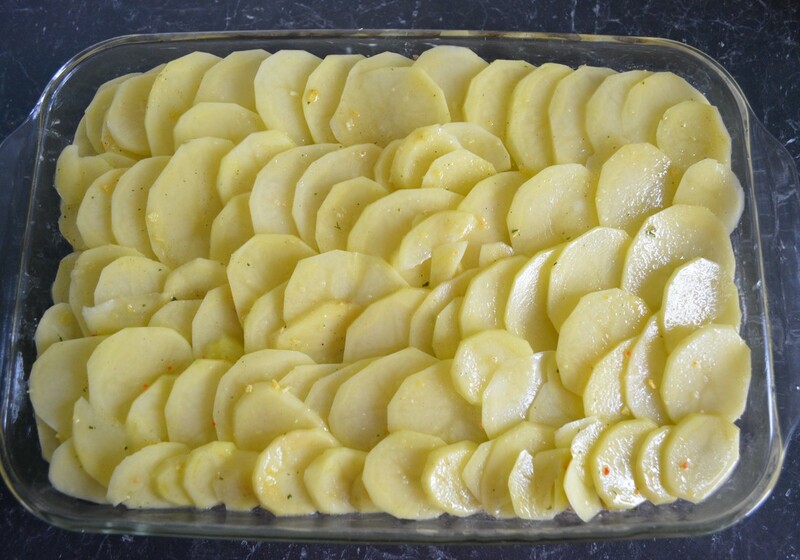 Place half of the sliced potatoes in your baking dish, side by side, slightly overlapping each piece. Add the mince, spread evenly on top of the potatoes. Add the remainder of the sliced potatoes, again side by side, slightly overlapping. 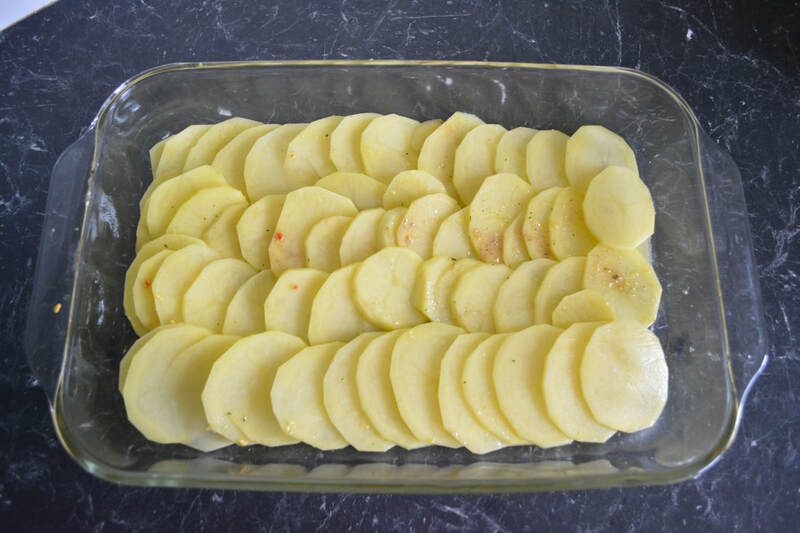 ​Bake uncovered for 30-45 minutes, the potatoes need to brown slightly. In a bowl mix together the sour cream and remaining egg. After the musaka has started to brown, spoon this mixture over the potatoes, spreading evenly. 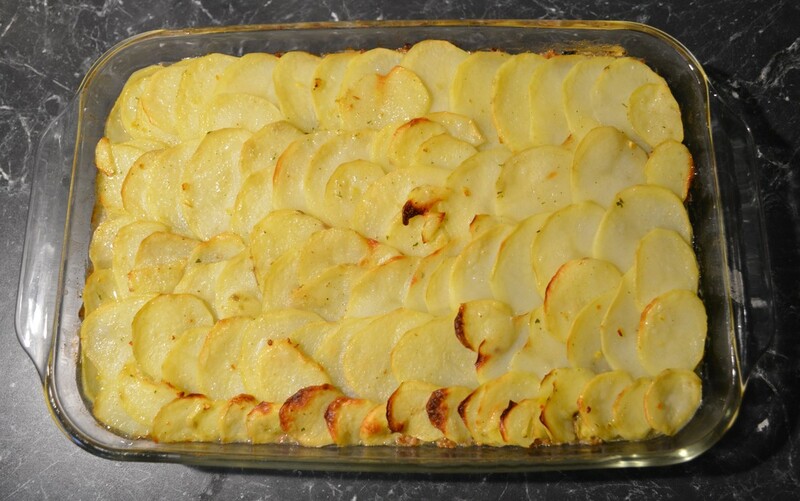 Bake for 1 hour or until the sour cream has browned and the potatoes cooked through. Serve immediately with a green salad or some steamed broccoli.